Indian entrepreneurs and startups who believe they have a business idea that can be applied globally will have a chance to present it to top corporate leaders and investors this October at The Wall Street Journal's WSJDLive tech conference in the US. 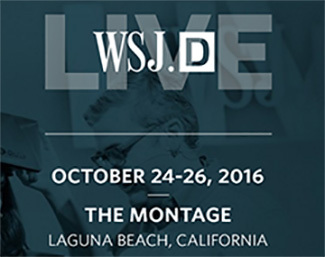 WSJDLive, which is in its third year now, will be held on October 24-26 at Laguna Beach, California. It will bring together global CEOs, enterprising entrepreneurs, and top investors to explore the most exciting tech opportunities emerging around the world. The conference will explore a wide range of issues including the changing financing landscape, the evolution of digital platforms and the future of automotive technology through interviews, roundtable discussions and interactive events. Speakers at WSJDLive this year include Microsoft CEO Satya Nadella, Facebook COO Sheryl Sandberg and chief product officer Chris Cox, AT&T Chairman Randall Stephenson, YouTube CEO Susan Wojcicki, Breyer Capital founder and CEO Jim Breyer, GE vice chair Beth Comstock, NVIDIA co-founder and CEO Jen-Hsun Huang and NASA deputy administrator Dava J. Newman. The conference will also have the Global Startup Showcase where entrepreneurs who have created new technologies, products and services that can be used and shared globally will present their ideas. The competition is open only for startups that have raised less than $5 million in funding. This year, seven finalists selected by The Wall Street Journal's senior editors will have the opportunity to attend WSJDLive and present their companies to a panel of judges and an audience of Fortune 500 CEOs, entrepreneurs and investors from around the world. The competition is open to any startup launching a product or service between January 1, 2016 and May 31, 2017. Entries will be accepted till July 6, 2016. About 250 startups from 26 countries competed at the event last year with 60% of them from outside the US. Six Indian startups competed for the eight slots for finalists last year but none managed to make the cut.